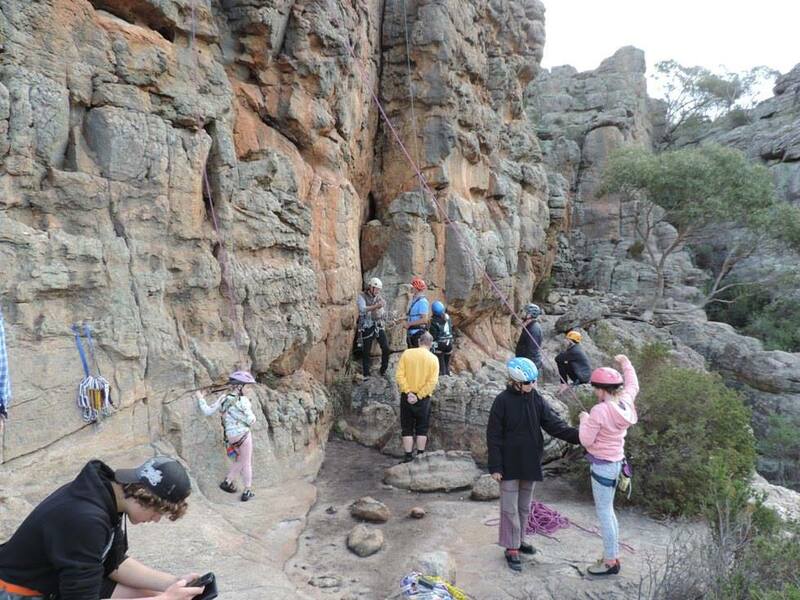 Join the Victorian Climbing Club (VCC) & Western Victorian Climbing Club (WVCC) in an enjoyable weekend of family climbing in the Grampians. 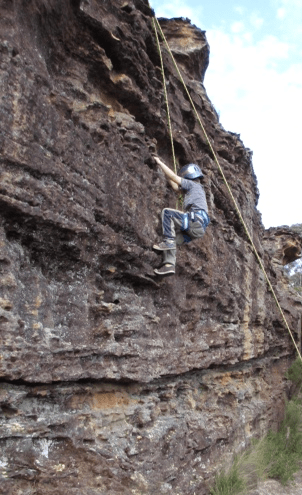 Based at Lakeside Caravan Park Halls Gap and climbing in the central Grampians, we will visit a progression of crags for younger children, as well as more challenging sites for older teens and parents to enjoy. Climbing will involve top roping, with several sites set up for families to visit. 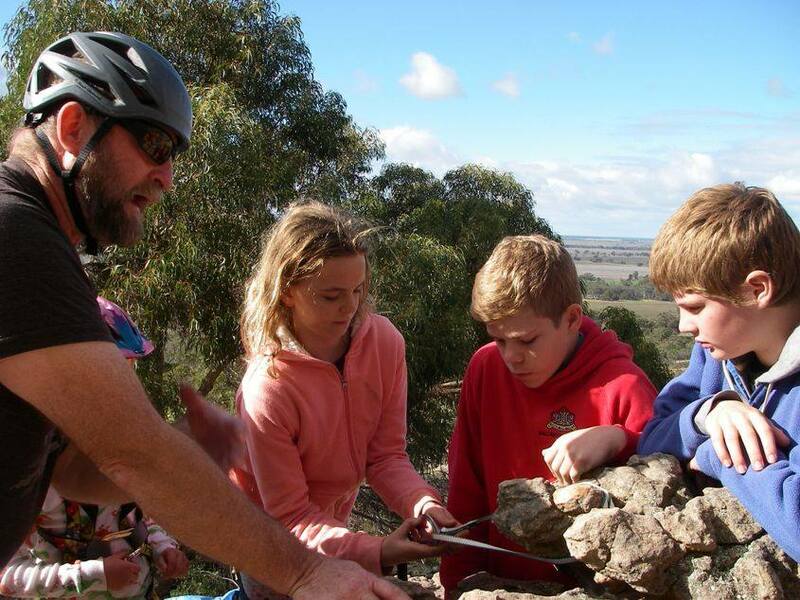 Your own climbing equipment will need to be provided, as a minimum a helmet, harness, sling and carabiner are required. 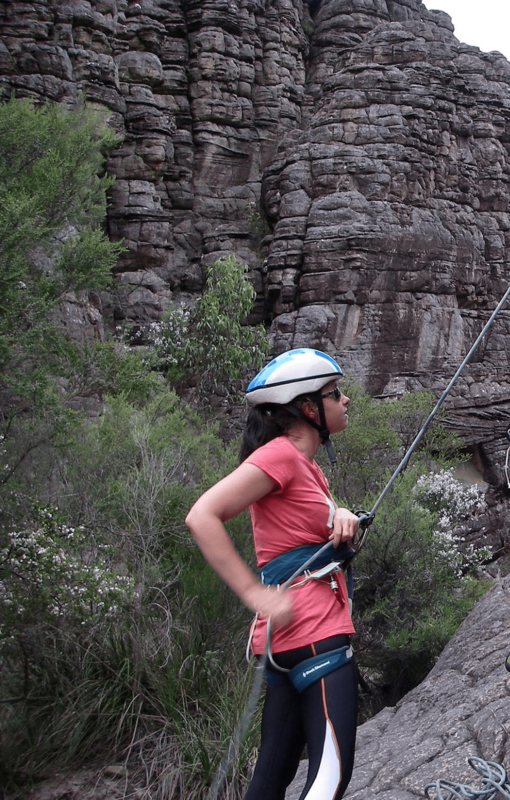 Helmets are required to be worn whilst climbing, belaying and when you are situated below others climbing. Climbing shoes are not essential for younger climbers; firm fitting sand shoes are fine. Steve Morris instructing attentive young climbers. Darcy Sherlock top-roping in the Blue Mountains. Children enjoying Summerday Valley’s Back Wall.